India adds up around 1.5 to 2 crore new voters every year. In the state of Jammu and Kashmir alone, 4,25,000 new voters are being registered. Jammu division has added 2.62 lakh new voters; regions of Leh and Ladakh have added 11400 new voters while Kashmir has registered 1.69 lakh first-time voters for the assembly polls. With that big a number in democracy, no party can afford to turn back on their aspirations. It is not just their numbers that are vital for political parties but their characteristics, behaviours and informed mindset that have forced politicians to scratch their heads and twist the political discourse around them, if not altogether change them. The most predictable thing about Indian elections is its unpredictability. The election festival is already on and people are again surrounded with hope, aspirations, dreams, dichotomies and conundrums. Parties from all over the country want to cash in on voters impulse. Some believe that this election is a test of Indian democracy and the last chance for its survival. This battle fought through ballot papers will not be solely about political promises, economic upgradations or social empowerment but also about ideological narratives. That is why the whole world is focusing on the trends that are being shaped and moulded every day in the carnival of promises and betrayals. 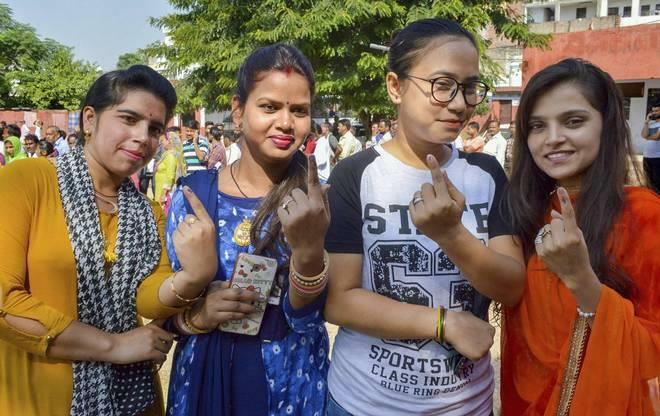 We talked to some of the first time voters who told us what they think about Indian democracy what this election means to them. "As a first time voter I would like political parties to focus on real issues that plague people such as lack of education facilities in far-flung areas, poor healthcare system, scattered and non-inclusive development", says Raghav who is a BA 2nd year student in department of political science, MAM college and is also a first time voter. According to him, there is no point in fighting over the constitutional and political status of the state when the whole of J&K is in shambles. He added that ‘there are many more political debates to find a way out of the mess which he has seen his state from the time of his birth. 'Raghav and his friends also shared the enthusiasm of voting as they believed for any democracy to survive; people and especially youth should focus on the bottom layer of hierarchy. On the importance of his vote in a democracy, he said, "if I'm an eligible voter and still don't vote, I can't expect to have a responsible representative". 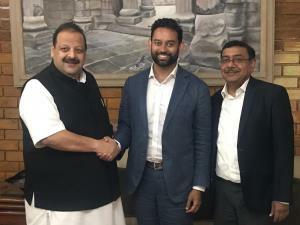 His friend Saurav Sharma's primary concern for the state is the unequal development of all three regions as some regions are given preference at the cost of others which could hinder the overall development of the state. When asked whether the first time voters believe that the state and assembly elections should be held together as was asked by Omar Abdullah recently on twitter, Mouzim malik a 21 year old student in humanities department replied that he is concerned about both national as well as local elections and simultaneous elections will save time, money and efforts of the state. According to him and his classmates for the youth of the state most of the problems are inter-related and many believe that Article 35a is necessary to protect the interests of the people of J&K in the long run and to bring back long lost prosperity and employment opportunities to the state so that the youth can refrain themselves from joining terror groups. They mutually concurred that the unresolved issues should be put to an end by mutual dialogue with all the parties concerned. As a first time voter, he said, it is my fundamental right to be represented by an ideology which I share, that's the only way I can count my preferences in a democracy. A ray of hope for a better future and a more visible democracy still prevails in the psyche of the young people. With all the misadventures and tribulations young people go through, Whether it is dysfunctioning of the state bodies or ambiguity between various government institutions, first-time voters tend to have faith in Indian democracy and want to part of the mainstream politics.